← Most Anticipated November YA Books! BEING FISHKILL appeared in the 12/1 issue of Entertainment Weekly! 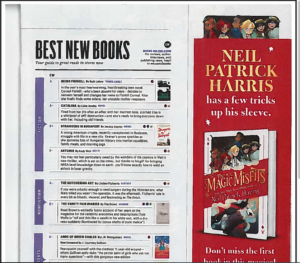 It was included in EW’s “Best New Books” column, and was listed in the first Fiction spot and graded A!